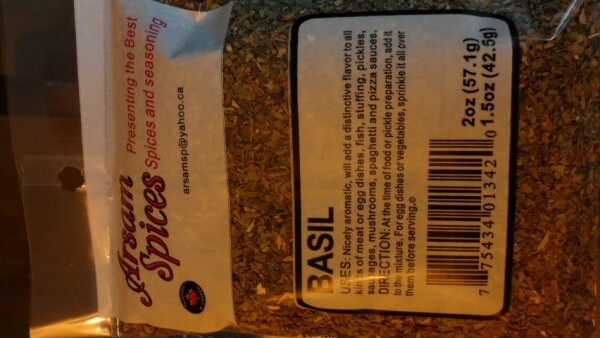 The CFIA is working with various parties to identify and remove all affected basil products that were made with the dried basil (Spice Kingdom brand BASIL – EGYPTIAN) recalled by Shah Trading Co. Ltd., Scarborough, Ontario on August 3, 2012. 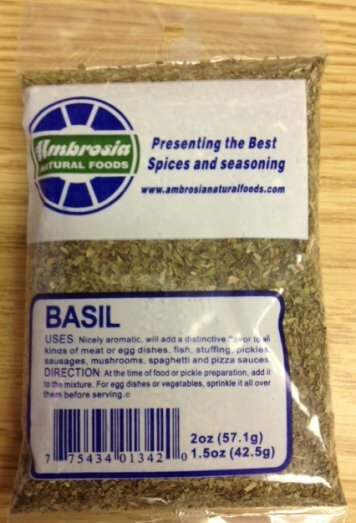 There have been no reported illnesses associated with the consumption of these dried basil products. 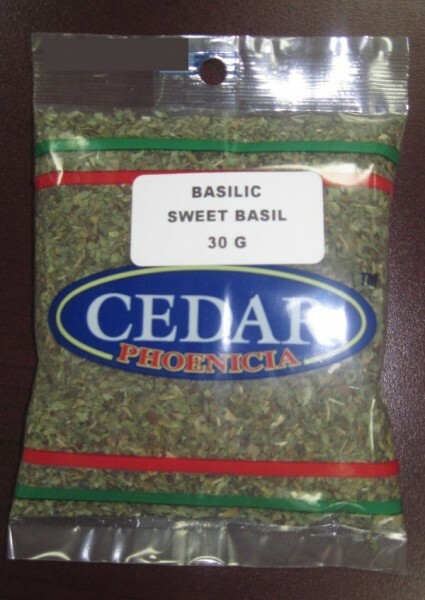 Please click here to see the photos of other basil products that are recalled. 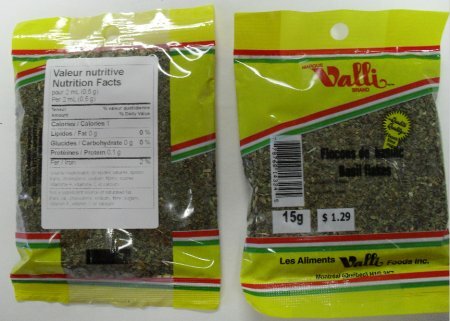 OTTAWA, August 10, 2012 – The Canadian Food Inspection Agency (CFIA) is warning the public, distributors and food service establishments not to consume, sell, serve or use the dried Basil products described below because they may be contaminated with Salmonella. This is an ongoing food safety investigation. 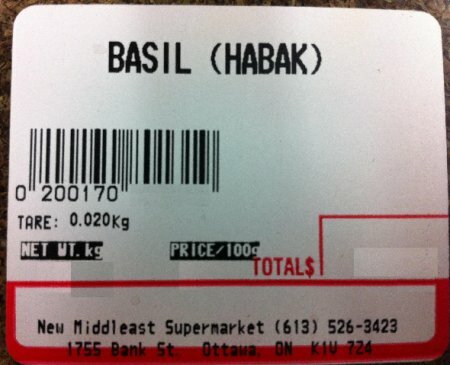 The CFIA is working with various parties to identify and remove all affected basil products that were made with the dried basil recalled by Shah Trading Co. Ltd., Scarborough, Ontario on August 3, 2012. These products have been distributed in Quebec, Ontario, Manitoba, Alberta and New Brunswick. However, they may have been distributed in other provinces. The importer, Shah Trading Co. Ltd., Scarborough, ON and other distributors are voluntarily recalling the affected products from the marketplace. The CFIA is monitoring the effectiveness of the recall. OTTAWA, le 10 août 2012 – L’Agence canadienne d’inspection des aliments (ACIA) avise la population, les distributeurs et les établissements de services alimentaires de ne pas consommer, vendre ou servir les produits de basilic séché décrits ci dessous parce que ces produits pourraient être contaminés par la bactérie Salmonella. Une enquête sur la salubrité des aliments est en cours. L’ACIA collabore avec diverses parties pour identifier et retirer tous les produits de basilic touchés, qui ont été faits avec le basilic séché retiré du marché, le 3 août 2012, par Shah Trading Co. Ltd. situé à Scarborough (Ontario). Ces produits ont été distribués au Québec, en Ontario, au Manitoba, en Alberta et au Nouveau-Brunswick. Il se peut toutefois qu’ils aient été distribués dans d’autres provinces. L’importateur, Shah Trading Co. Ltd., situé à Scarborough (Ontario), et d’autres distributeurs retirent volontairement du marché les produits visés. L’ACIA surveille l’efficacité du rappel.